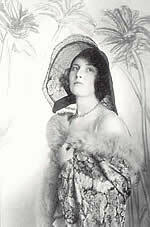 Rosamund was the daughter of Bertha Everard, niece of Edith King and younger sister to Ruth Everard King who together became known as the Everard Group. Rosamund grew up in Mpumalanga, attended Eunice School in Bloemfontein in 1919 and traveled with her mother and sister first to Cape Town and then to England and Europe in the 1920s. She was a music student studying the piano and violin. Rosamund received no formal art tuition. However, she began to paint with her mother and sister when the traveled to France and Italy. In 1926 Rosamund returned to the family farms in Mpumalanga and concentrated her energy on farming at which she became very successful. In addition, she qualified as an official judge of Ayreshire cattle and as a wool classer. She was an excellent rider and shootist and spoke French and isiSwazi. In 1935 Rosamund began a career as an aviatrix. During the Second World War she joined the South African Air Force and later the Air Transport Auxiliary Services flying planes between South Africa and Egypt. She met and married Nicolaas Steenkamp in 1940, but he died in 1942. Rosamund continued to fly and was the first woman in the world to pilot a jet aircraft. She was also the first woman to pilot a Spitfire plane, but tragically was killed in a demonstration accident in England in 1946. Rosamund painted landscapes and still life in oils. Her style of painting was unconventional, spontaneous and exuberant and her work reflects her attraction to decorative patterns and design. Her use of colour was strong, defined and controlled by definite rhythmic outlines. She was not as prolific as the other painters in her family. Her work formed part of the Everard Group exhibitions of 1931 and 1935 and featured in the retrospective exhibitions held at the Tatham Art Gallery in 1982 and the Standard Bank sponsored exhibition of 2000 entitled 'The Everard Phenomenon'.